If you’ve lived through the evolution of the internet from its primal form to what it is now, you are likely to have used – and enjoyed – one of the most popular messengers – the Yahoo Messenger. Sadly, after a 20-year-long run, the company has decided to lay the Yahoo Messenger to rest. Verizon, which owns Yahoo, did not give a clear reason for shutting down the service when it announced its demise last month. It is likely that this decision was taken in sight of extensive competition from other multi-platform and smartphone-friendly instant messaging apps such as WhatsApp, Skype, Facebook Messenger etc. Now, after the death of the Yahoo Messenger, users will be automatically directed to Yahoo’s new messaging service Squirrel. Users will be allowed to download their chat history and related media for the next six months using this link. “As the communications landscape continues to change over, we’re focusing on building and introducing new, exciting communications tools that better fit consumer needs,” Yahoo said in a press announcement last month. The Yahoo Messenger was released as Yahoo Pager in 1998 and instantly became the favorite communication medium for the traders of oil and other commodities as it was free to use and easy to adapt to. In 2009, the messenger clocked 122.6 million users. 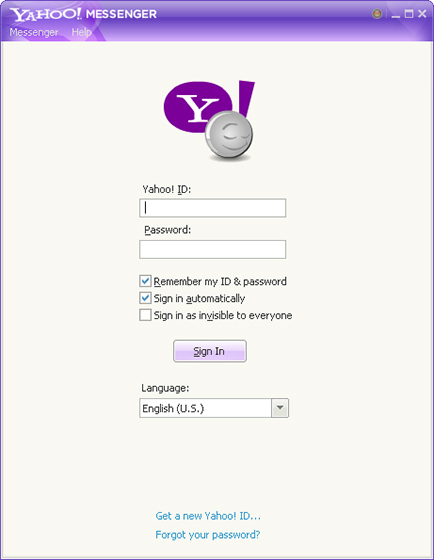 One of the most common features of the Yahoo Messenger was its public chatrooms which were removed in 2012. It was also one of the most user-friendly means of group chatting and made users comfortable with animated characters which were fondly referred to as “smileys” and “avatars” almost a decade ago. Besides Yahoo Mail, the Y! Messenger was one of the most important aspects of Yahoo’s business which maintained its prominence even after Google thwarted it at the search engine game. Do you have memories attached to the Yahoo Messenger? Tell us about your experience with the iconic communication medium.